Storage Geyser # 1.Engineered Abs Plastic Body. # 1.THERMAL CUT-OUT 2.HEAVIEST INNER TANK. 3.ANTI-VACCUM SYSTEM. 4.AUTOMATIC THERMOSTATE 5.POWER SAVING INSULATION 6.BUILT IN PRESSURE RELEASE VALVE 7.ISI MARKED HEATING ELEMENT,THERMOSTATE & CUT-OUT 8.HEAT RESISTANCE ENGINEERED ABS PLASTIC BODY. 9.EXTRA HEAVY HEATING ELEMENT FOR EXTRA DURABILITY 10.EXTRA THICK CAPSULE TYPE INNER TANK. 11. 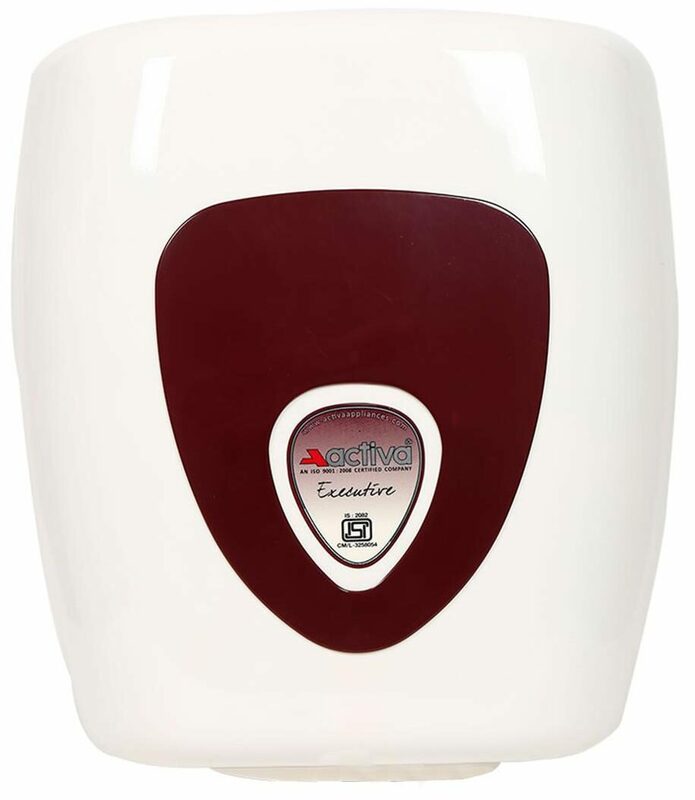 ACTIVA 25l geyser, is a 5 star performer and comes with a stainless steel 304 L STAINLESS STEEL inner tank . 12.the isi approved ACTIVA ELECTRIC geyser facilitates faster heating with its two u heating elements and the thermal cut out protection prevents overheating. 13.This water heater can hold maximum for 4 level story / building. 14. COMES ALONG WITH MAGNISSIUM ANODE FOR LONG LIFE IN HARD WATER. 15. 5 STAR RATED ELECTRIC GYSER TO SAVE YOUR ELECTRICITY BILLS. # The images represent actual product though color of the image and product may slightly differ.